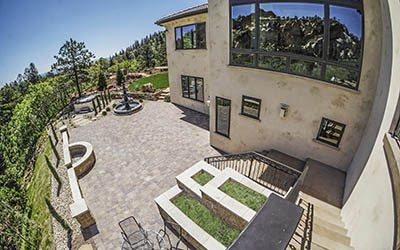 C&C Sand and Stone Co. is your best source for landscape materials and masonry building materials in Colorado Springs, Castle Rock and Denver. Family owned since 1968, we offer a high level of service that comes from a knowledgeable staff who understands your project needs. We have thousands of choices including, xeriscape materials, landscape materials, decorative rock, gravel, mulch, patio pavers, natural stone, boulders, manufactured stone veneer, pond supplies, thin veneer, flagstone, brick, statuary, stucco, soils, mulch and we supply much much more. Come by today!